Home > Ask Our Experts > Are There Any Support Groups For Separation Anxiety? Can you tell me if there are any UK support groups for parents of children with Seperation Anxiety Disorder, and also if there are any support groups for children with this condition. It can be very stressful for parents when their children are unable to separate from them without difficulty, especially that small percentage of kids for whom the condition seems chronic, lasting far beyond the toddler/preschool years. While you didn’t specify the age of your child, I’m assuming that (s)he is past the usual age that separation anxiety usually lessens on its own. Unfortunately, many GPs tend to look at the condition as simply a normal part of childhood development and fail to provide their young patients with the tools that they need to overcome their anxious feelings. 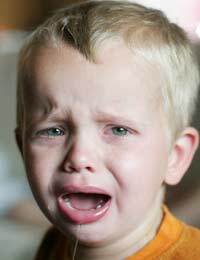 As a result of the casual attitude that some doctors take about anxiety issues in children, it can be very difficult for parents to locate other families who are experiencing the same thing, which is unfortunate because it can be helpful for kids to understand that they are not “weird” and that there are other plenty of children who feel as they do. For those kids who are referred to child psychologists, Cognitive Behavioural Therapy (CBT) is usually the first course of treatment. Gradually exposing children to their feared situations, the cornerstone of CBT, can be quite beneficial for most kids who suffer from simple separation anxiety, but may not be as effective for children who are experiencing full-blown panic attacks. When what begins as separation anxiety fails to ease on its own after the age of two or three, parents may want to push their children’s doctors to look for underlying causes of the anxiety as well as to consider whether other conditions may be responsible for the fearful behaviours. Anxiety disorders are not uncommon, but left untreated, can have a devastating impact on children’s ability to function well at school and with their peers. Overly anxious kids often miss out on school outings, are uneasy about taking lessons, and may be unable to attend the parties or sleepovers that their friends so easily enjoy. If the situation continues, some kids can become withdrawn and depressed, only adding to their emotional burdens. When properly diagnosed and treated, though, kids with anxiety disorders can often make great strides toward being comfortable in a wide variety of places and situations. I tried to locate sources for your family where you might be able to participate in the type of support groups that you seek, but came up empty. Support groups exist for countless illnesses, behavioural disorders, and family difficulties, but seem non-existent when it comes to separation anxiety. Clearly, the condition is not yet being given the attention that it deserves. My only suggestion is that you actively seek other families who are experiencing first-hand the difficulties that chronic separation anxiety can cause and initiate the formation of a support group. Locally, you may be able to express your desire to begin such a group to your child’s GP or psychologist, if applicable. While they will not be able to put you directly in touch with other patients, you can offer to leave your contact information and express a willingness to have it made available to other families who may benefit from participating in a separation anxiety support group. My guess is that the average GP sees at least a few children who suffer from anxiety symptoms severe enough to warrant treatment. In addition to local contacts, many online social networking sites offer members the opportunity to host groups with specific purposes in mind. If you begin such a group and then post bulletins looking for members, you may just find that plenty of support awaits you and your child. I wish you both the very best.